Is your home in need of a thermal upgrade? Would you like to save money on your heating bills? If you would, then you need to call the team at Combi-Nation today on 023 8077 5666. You will be able to speak to our experts about your requirements and we can help you choose the best option for your home and provide the best central heating installation Southampton has to offer. When it comes to keeping a damp free, comfortable, and well-warmed home, central heating is a vital necessity. An efficient and maintained system will provide your home with all of the hot water it needs without the inordinate gas bills that other, lesser systems can leave you with. All of our engineers are fully qualified and GasSafe registered, so you know your central heating installation Southampton is in the hands of the experts. This type of boiler, also called combi boilers, have rapidly become the fastest selling type of boiler in the UK and for good reason. They represent a reliable and efficient solution to many central heating problems. The combination boiler has a long service life and has proven itself a steadfast product time and time again. There is no storage cylinder to heat first or to run cold. If you have had the pain of standing by the hot tap, waiting for minutes at a time for the water to come out hot, then this is definitely the option you need. The initial cost of a central heating installation Southampton using a condensing combination boiler can be off putting. However, the cost is offset by increased efficiency and long-term savings. 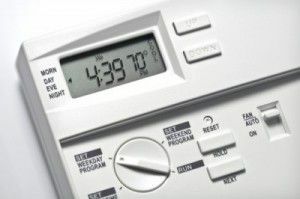 If you are looking to reduce your heating bill, this will be the best option for you in the long run – some homes have reported savings of up to 33% on their heating bills. This boiler boasts very high efficiency, for example the combination boiler “Vaillant Turbomax 828 E” is around 80% energy efficient, whereas the “Vaillant Turbomax 828 2E” is a condensing combination boiler which tops out at a whopping 91% efficient. Over time, that 11% difference will amount to considerable savings. Why Choose Our Central Heating Installation Southampton? Combi-Nation are the South’s leading team for central heating installation in Southampton. We are dedicated to giving our clients the best possible service and aftercare. You can expect a courteous and professional service from every member of the team, and we don’t just try to meet expectations; we always aim to exceed them. Our client list is a long one, and much of our work comes from previous happy customers recommending our Southampton central heating installation to their friends and family – we are known for high quality and superior results. If you would like to contact us about our central heating installation in Southampton or any other services we offer, please call Combi-Nation today on 023 8077 5666. We are always happy to answer your enquiries and make an appointment for a free survey and no-obligation quotation. Alternatively, you can write to us by sending an email to info@combi-nationheating.co.uk.